A large family of storage units enhanced by chromatic variations and plays of bright and matt finishes, while maintaining the formal rigour of the design. 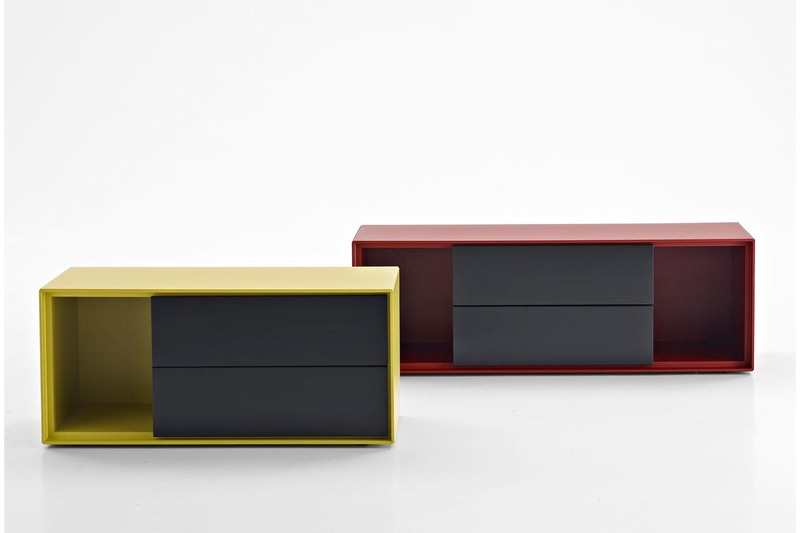 They are customised by an important detail: the greater depth of the tops and sides, as compared to the drawers, that contribute a sense of depth to the front. Chest of drawers that develop vertically or horizontally are placed beside elements that are less deep, with fronts that alternate empty portions and drawers, designed for use at the bedside.